The Rev. 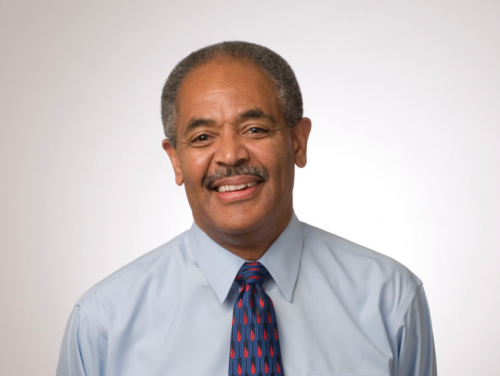 Dr. Brian Blount, president of Union Presbyterian Seminary, has been a major influencer of theological education in the Presbyterian Church (U.S.A.) and beyond. In addition to leading Union’s two campuses in Richmond, Virginia, and Charlotte, North Carolina, Blount served until the end of last year as president of the Society of Biblical Literature and continues as president of the Association of Theological Schools, an accrediting commission for more than 270 graduate theological schools in the United States and Canada. “One of the great gifts of being president at Union is that I get to pastor an academic community with all kinds of broader church connections,” he said. Blount is also vice-chair of the Committee on Theological Education, which is helping to build connections between the General Assembly and PC(USA) seminaries. By asking questions about how each party can support the other’s work, he has been able to share with seminaries items of utmost importance to the denomination. Each organization Blount serves is grappling with how best to equip pastors, church leaders, educators and those working on a doctoral degree, while helping craft leadership for churches and nonprofits that are engaging with a world increasingly interested in how spirituality can help create a healthier public arena. That work suits Blount’s pastoral heart. Even before he attended seminary, Blount said he felt called to convey the meaning of Scripture in ways helpful to communities of faith — especially in their engagement with the world. But as he was serving in his first pastorate, he discovered he wanted to go deeper into understanding faith. As he became more scholarly, he wanted to teach the New Testament, which he did at Princeton Theological Seminary for 15 years. He became president of Union in 2007. Calling it “complex,” Blount said he is constantly working with how Union develops its curriculum. The work involves finding a balance between the issues and concerns the church is involved in while meeting the learning needs of the students in various degree programs — particularly in the spiritual arena. That’s also what he’s working on with the Association of Theological Schools, although in a slightly different way. In similar fashion, Blount’s work with the Society of Biblical Literature was focused on helping scholars find ways to better share their research with one another and write and teach for the broader community. “We were figuring out together how to better equip each other as scholars and how to better teach those who want to learn more and go even deeper,” he said. As Blount continues to navigate the changes in theological education at Union — the seminary is looking at ways to expand long-distance education hybrid programs — he said he is incredibly grateful. He said he’s thankful for how the seminary is making education more available to students, how a bi-vocational educational emphasis is becoming more important and how the meaning of evangelism and teaching it more assertively is becoming part of Union’s theological education mission. “Yes, at times it does look difficult in this moment of God doing a new thing,” he said. “It can be frightening to us, but faith in God’s leadership extends beyond our capabilities. God is leading us in a direction that will be beneficial to God’s movement in the world. Holy One, we seek to be fully alive within and without. Shape us according to your purpose, so that we may reflect your glory. Bless us to be a blessing. All this we pray in the name of Jesus. Amen.